Is your GPU fan spinning sporadically or not at all? Here’s how to fix it. Numerous GPUs have an in-built feature that only uses the passive cooling hardware (i.e., heatsink) while the PC is idle or performing non-GPU intensive tasks such as web browsing or basic applications. If this is the case, it’s entirely reasonable for the fan to be off and this won’t damage or affect the performance of the GPU. The idea is to cut down on noise pollution by only firing the fan when necessary to keep the GPU within a safe and functional temperature range. Although not hearing the whirling blades of the fan is worrying when you fire up a fresh build for the first time, the behavior is habitual. 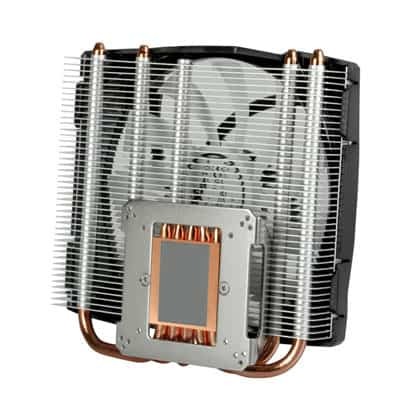 The fan is triggered once it reaches a defined temperature threshold when under load. Power up a graphically demanding game or benchmark tool and the fan should spring to life. If the fan still doesn’t spin the problem may be more severe. The simplest solution is often the best. The go-to solution of IT technicians across the globe, try restarting your computer if the GPU fan is not spinning. A fresh reboot does wonders to refresh the system and realign settings for proper functionality, including GPU fans. Graphics processing units need power and a lot of it. If you have recently installed a new GPU only to find the fan isn’t spinning, then chances are the power connector (combination of 6-pin and 8-pin depending on the model) linking it to the power supply unit is either not connected or the pins are not completely pushed into the card. Similarly, ensure the GPU is correctly sitting in the PCI-E slot on the motherboard. Another thing to look out for is whether the power supply unit provides sufficient wattage to power the GPU. If peripherals are unresponsive or the PC repeatedly shuts down for no reason, then chances are the PSU isn’t powerful enough. 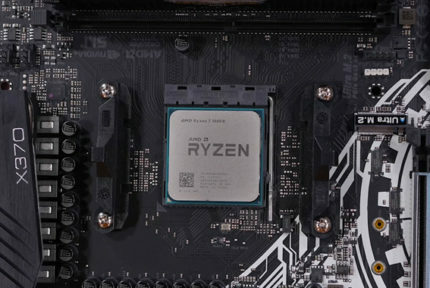 Doing advance research before purchasing a new card is a no brainer, but you’d be surprised how many unversed builders take the plunge on a top of the line RTX without double checking the wattage requirements. If your current power supply unit underpowers the GPU, you’ll need to invest in a more powerful replacement, at which point the GPU fan should work once again. Another vital check while the PC is open is checking that none of the other connections have come loose especially anything connected to the motherboard including power cables. 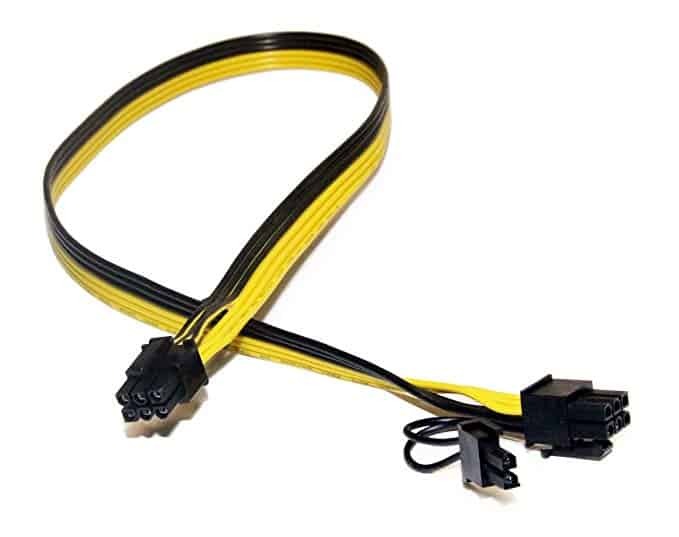 Although not directly linked to the GPU fan, these types of connections can have an overall effect on the system, which is a bit like a microcosm where everything needs to work for the sum of its part to function properly. Like any mechanical element, the fan bearings can lose some of their spinning capabilities over time, and the best way to remedy this is to refresh the motor with a drop or two of any standard machine oil or sewing machine oil. Remove the sticker on the top of the fan, pop out the protective plastic cap, and drop a small amount of oil on the bearings. Be sparring as a little can go a long way, while too much can ooze out onto the blades and, god forbid, onto the GPU below causing critical issues. Remember to place the cap back to contain the oil. Stay clear of WD40 or household cooking oils as these either leave a residue that can hinder functionality or evaporate too quickly to be useful. 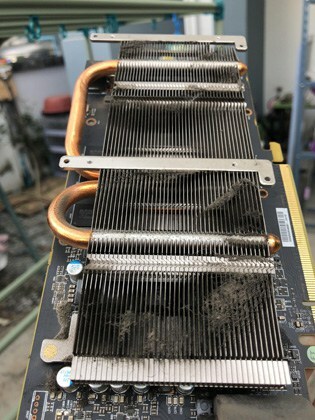 The most common culprit for GPU fans that don’t spin is a build up of dust and debris on the blades. The fans used on GPUs have very low torque meaning that it doesn’t take much for obstacles to impeded movement or completely immobilize the blades. With their very function to move hot air away from the GPU, the fans continuously interact with errant particles and dust that invariably ends up inside a PC. Over time, this debris comes to rest on the blades. The problem is especially prevalent if the PC hasn’t been used or cleaned in a while. Invest in a canister of compressed air, open your PC, locate your GPU, then clear off any lingering dust from the blades. You could even go further by detaching the fan from the GPU and removing any dust on both sides of the blades with the compressed air. If you opt to remove the fans from the GPU, take the opportunity to clear the heatsink (if the GPU has one) of any dust build up and give the card itself a once over being careful not to spray to close to avoid damaging the components and circuitry. Another similar cause of idle fans is misplaced cabling emanating the fan motor that over time can inch their way into the path of the blades, obstructing movement. Additionally, if your overall cable management is, let’s say, lacking then check to make sure no loose cables are coming into contact with the blades. 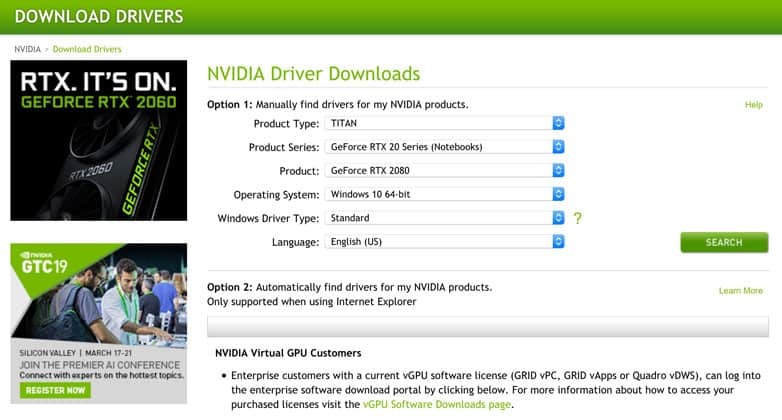 Obtain the latest drivers from the Nvidia or AMD websites depending on the model of your GPU. Install the drivers or if you have done so recently, uninstall and reinstall them. Similarly, do the same for any proprietary Nvidia and AMD GPU software like GeForce Experience and Radeon Software. Specific settings can unwittingly mess with fan controls and affect when and under what circumstances it spins or doesn’t spin. Driver issues more often than not surface when you’ve installed a freshly released version and the process wasn’t completed correctly, or there’s been an issue on the manufacturer’s end updated in a recent patch. If none of the above fixes work, the chances are you’ve got a mechanical failure on your hands. Fan failures do happen especially with older models that have been churning away over thousands of hours of use. Conversely, newer GPUs aren’t immune to the occasional fan failure due to an unforeseen manufacturing mishap. An excellent way to test this out is to download MSI Afterburner, an overclocking and GPU monitoring application then set the program to run the fan or fans at max speed. If they don’t fire up and you’ve covered all our points above, the problem is more or less guaranteed to be a hardware failure. Unfortunately, in this case, except having the know-how to open up a fan and fix it manually, the only option is to invest in a new fan. 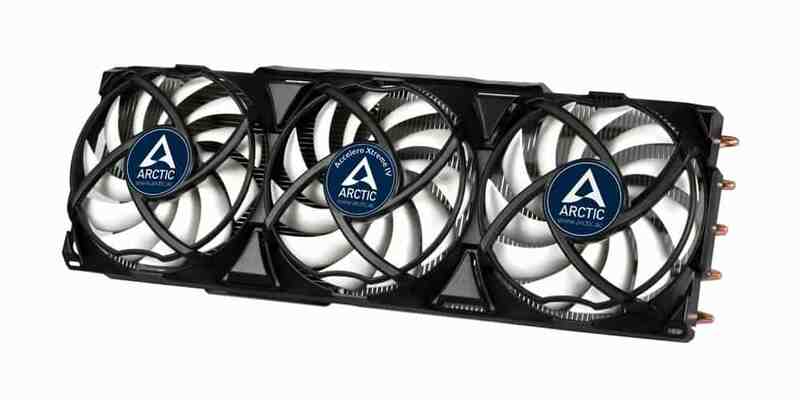 Luckily fans are among the lowest priced PC components and its possible to bag a decent GPU fan for around $40 to $50. Stick to respected brands like Cooler Master and Corsair for the peace of mind of product reliability. Unfortunately, faulty fans aren’t the only cause of blades not spinning. A broken motherboard could also cause the issue, specifically a buggy PCI-E slot. In this case, you can test to see if the problem originates from the PCI-E slot in use or the motherboard as a whole by shifting the GPU into a different PCI-E slot and seeing if this resolves the issue. If it doesn’t, and you’ve followed the steps above to a T, the problem may be the motherboard, in which case it may be time to invest in a new one, or, if it is new, send it back to the vendor and obtain a replacement. Most modern motherboards come with no-nonsense warranties, so this shouldn’t be an issue.